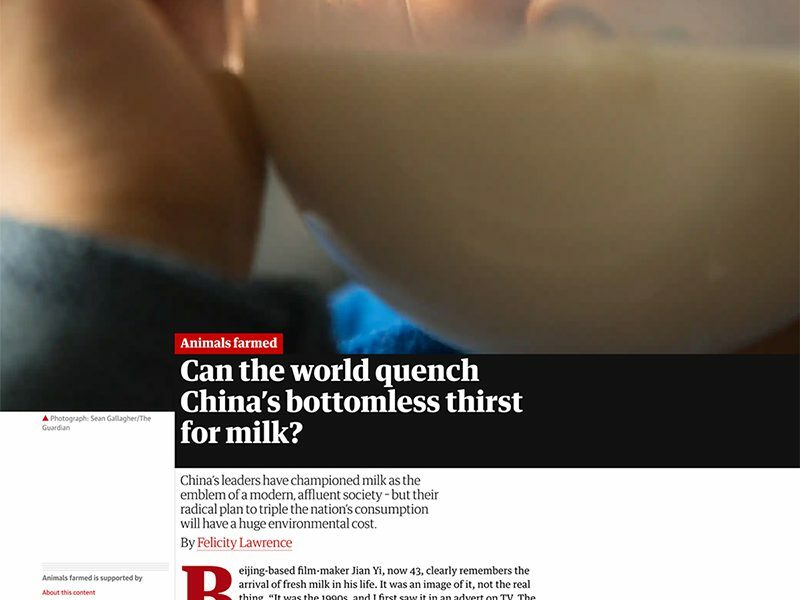 The article looks at how milk used to be nonexistent in China, but today the country is the third-largest milk producer in the world. Milk has become an emblem of a modern, affluent society, and a country able to feed itself, and this is how China wants to be seen. They had to overcome the people’s lactose-intolerance and create a market for milk where there had been none. Jian Yi recalls the 1984 Olympic Games being a big influence on people’s milk consumption. Dairy farming requires vast quantities of fresh water and creates emissions harmful to the environment so if this desire for dairy continues to grow, it could have detrimental affects. You can read some of the research we’ve done on dairy and the emergence of industrialized dairy in Asia here. You can read the full article from The Guardian here.